Joe Sestak, the former Congressman who challenged Pat Toomey in 2010, took a rare, post-campaign shot at the Senator in an op-ed for the Pittsburgh Post-Gazette Tuesday. It’s an interesting foray in Pa. politics by Sestak, who has mostly stayed on the cable news circuit discussing national issues. However, he has left the door open to a future run for public office (including Senate in 2016 or Governor in 2014). He goes on to make the case for job training programs and other forms of government assistance. You can read the entire piece here. Sen. Toomey’s office declined to comment. 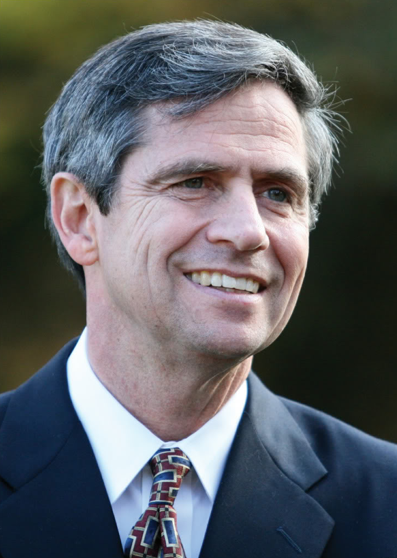 Sestak is seen as a possible gubernatorial contender, but could aim for Senate instead. Rep. Allyson Schwartz (D-Montco), once seen as Dems’ top candidate against Toomey in 2016, is poised to run for Governor herself. @ Jeremy: My issue isn’t if he runs or not. Although, I would support him if he ran. My issue was simply IS HE LEGALLY ELIGIBLE to run. I need to find a way for an ordinary citizen (me) to verify where he voted in November 2012. @Dave Diano – I will give you credit for defending Sestak even though you hate him. It shows you have character. @ Everyone else- Sestak is a bit of an enigma. If he wants Senate in 2016, then why would he be criss -crossing the state in 2012. The Senate race was 4 years away. Maybe he is trying to mend broken fences and I will give him credit. He was the only “big name” guy to offer help in 2012. That will get him a lot of friend and a lot of votes. If he wants Guv, then why is he on MSNBC and Fox talking about the military and foreign policy, none of which he could influence once elected Guv. Also, why is he criticizing Toomey. Toomey has nothing to do with the Guv race. Bottom line: Corbett is a sitting duck. If Sestak doesn’t run, it would be down to Schwartz and McCord. Schwarz would have the liberal wing while McCord can raise a ton of money. I guess this is why I like politics. It has a ton of drama. @ David Diano: a picture of him at a polling place does not prove that he voted in Pennsylvania In November 2012. That being said, proof from the Pennsylvania Department of State would prove this. How can an ordinary citizen obtain a copy of this proof? 2) I have the official voter file from State Dept that shows Sestak as voted for Nov 2012. 3) If Sestak hadn’t voted, do you think I’d be defending him that he voted? Note, just because Joe voted, doesn’t mean that I think he voted for Obama or Dems. A weasel and closet Republican like Sestak probably voted for Romney/Ryan. delco observer and David Diano: is there any way to verify what you’re saying? I will gladly retract my statement if someone can tell me a way to verify/certify that he DID in fact vote in PA this past November. I rarely post (or wake up) before the crack of noon. So, no worried. Sestak DID vote in PA in General 2012. I think he even posted a picture of it. You must be thinking of his wife, who lives/works in VA (and I assume is registered there, because she’s not registered in PA). Sestak’s not running for Governor. He’s done no fundraising. He wants Senate, so he can continue to live in VA with his wife and kid, and not be stuck in Harrisburg. If Schwartz is actually interested in Senate, then Sestak’s in trouble, and it would blow 10 years of his planning out of the water. @ Square Chick – I don’t know how many people actually want to be Guv. Think about it. Right now, a 2014 Dem Guv would have to battle both a Rep house and Senate. It doesn’t look like either of them can flip to Dem in the next 4 years. @Mike – If what you say is true, Sestak has to register here and pay taxes here ASAP. He still has time but will have to do it soon. Let’s face it, Sestak didn’t spend all of 2012 criss-crossing the state to help Dems for the State House for no reason at all. @ Dave Diano- what a Sestak article and no comment. Is everything okay? I am concerned! If I knew where you lived, I would send a neighbor to check on you to make sure your still alive. @Mike Panza – not sure where you are getting your information but PA Voter records show Sestak voted in person at his home polling location in Delaware County. Please fact check better. The run by Schwartz starts to make sense in light of Jeremy’s comments. We know she really doesn’t want to be Governor (actually I doubt Sestak does either) but she can use the race as a warm up for a US Senate race and try to be swept in via Hillary’s coattails. And I have said this a million times, and I will say it again. Sestak does NOT meet the residency requirements to run for Governor in Pennsylvania in 2014. He paid income taxes & voted in the general election last year (2012) in VIRGINIA. I simply cannot fathom why no one grasps this concept. This is not a personal bias on my part against Sestak; I would gladly support him in a Democratic primary for Governor next year. But he is legally ineligible to run. I look forward to seeing him run for US Senate in 2016 in PA. I said this a million times and I will say it again. The PA Guv race in 2014 is a three way race. Sestak, Swartz and McCord are all contenders. Each have their strengths and weaknesses. The loser of the Guv race will run for Senate in 2016 and probably win. Democrats may have Hillary Clinton at the top of the ticket and momentum will be huge especially if either of the Clintons spend time here.